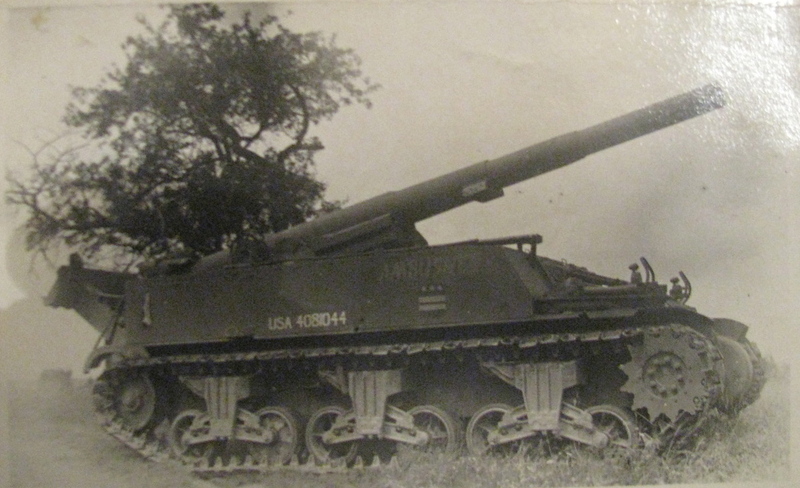 Louis Basso of Venice, Fla. was a 155 mm gunner who served in Battery A, 258th Field Artillery Battalion attached to Gen. George Patton’s 3rd Army that fought the Germans across France and into the “Fatherland” during World War II. Although he fought in four of the five major battles from D-Day to the Elbe River, the battle the 90-year-old former soldier recalls best is the “Battle of the Hürtgen Forest,” just past the Siegfried Line near Aachen, along Germany’s western front. The three-month-long battle began in September 1944 and ran until December in a 50-square-mile wooded area. German forces had every inch of the forest zeroed in with 88 mm cannons and machine-gun nests. It was an unnecessary slaughter of American forces for no good reason. Before the Germans were run out of the Hürtgen Forest the U.S sent 120,000 soldiers into the woods. Of that number 24,000 American troops were killed, wounded or captured. On top of these losses an additional 9,000 of our troops were put out of action from trench foot, respiratory problems or combat fatigue. Pfc. Basso was one of the lucky ones. He survived. “The toughest time I had in World War II was during the ‘Battle of the Hürtgen Forest.’ We supported the 8th Infantry Division during that battle,” he explained. “Our primary job was to provide the 8th Division with direct fire on German pill boxes. The biggest problems were from tree bursts. “In-coming German 88 projectiles would hit the tops of trees and fragment into deadly steel splinters that showered down on us,” he explained. To protect themselves from this rain of steel from enemy artillery, Basso and his buddies quickly dug foxholes, roofed them with beams and covered them with dirt. “I remember one incident very clearly. I was fixing the camouflage net over our gun when an 88 shell came in. Just as I jumped into the gun compartment I felt a pain in my side. A piece of shrapnel hit my jacket. It didn’t scratch me, but it cut the jacket I was wearing down to the skin. “We really took a pasting at the Hürtgen Forest,” he said. After that engagement, Basso and his 155 mm battalion were assigned to support the British 9th Army in the better known “Battle of the Bulge.” A million soldiers fought it out during Hitler’s biggest offensive on the Western Front. On Dec. 16, 1944 an unexpected German advance overran Allied forces along the Belgium border at the Ardennes Forest trapping the American 101st Airborne in Bastogne. Gen. Patton reversed his 3rd Army’s advance and attacked the enemy’s flank at Bastogne. The Germans had hoped to split the English and American forces, take the Port of Antwerp, Belgium and sue for peace. Problem was, they ran out of fuel and a month later lost the battle. When the shooting stopped as the German’s retreated toward their homeland The Bulge cost them 100,000 troops killed, wounded or captured. It cost the Americans 81,000 killed, wounded or captured during the battle in the Ardennes Forest. Again Basso escaped a huge battle without a scratch. As a kid out of high school he joined Battery-A, 258th Field Artillery Battalion back home in the Bronx, N.Y. shortly after graduating in 1940. He became the company bugler and the captain’s runner. “We were on maneuvers in North Carolina on Dec. 7, 1941 when my lieutenant told me, ‘The Japs just bombed Pearl Harbor.’ I was 19-years-old and had no idea where Pearl Harbor was,” he said more than 70 years later. Basso caught up to his outfit while it was fighting just outside Paris, just before the Germans relinquished the French capital. “Going through these little French towns you had to be very carful because the Germans booby-trapped everything,” he said. “At one point I decided we needed a wall clock so Bumgardiner, a buddy, and I decided to go looking for one. “When we reached the front lines we were stopped by some of our guys in the 30th Infantry Division and told if we went any further we were likely to run into Germans. That didn’t stop us, we continued our search for a clock and found one. “On the way back to our unit the Germans opened up with their 88s. I jumped into a ditch with the wall clock to escape the 88s and broke the clock. So much for the clock,” he said as he shook his head and smiled remembering the incident so long ago. In their march through Western Europe, Basso and the 258th Battalion went as far east as the Elbe River in Germany. After the war Basso went to work as a design engineering for George G. Sharp Marine Engineering Co. in New York City. “I designed a lot of the air conditioning systems on U.S. Navy ships. I designed the air conditioning for the first atomic transport ship, the Savannah,” he said proudly. Thirty-three years later he retired from the firm and he and his late wife moved to Florida. They have one son, Louis Jr. This story was first published in the Charlotte Sun newspaper, Port Charlotte, Fla. on Monday, Feb. 18, 2013 and is republished with permission. Click here to view Basso’s collection in the Library of Congress VHP. 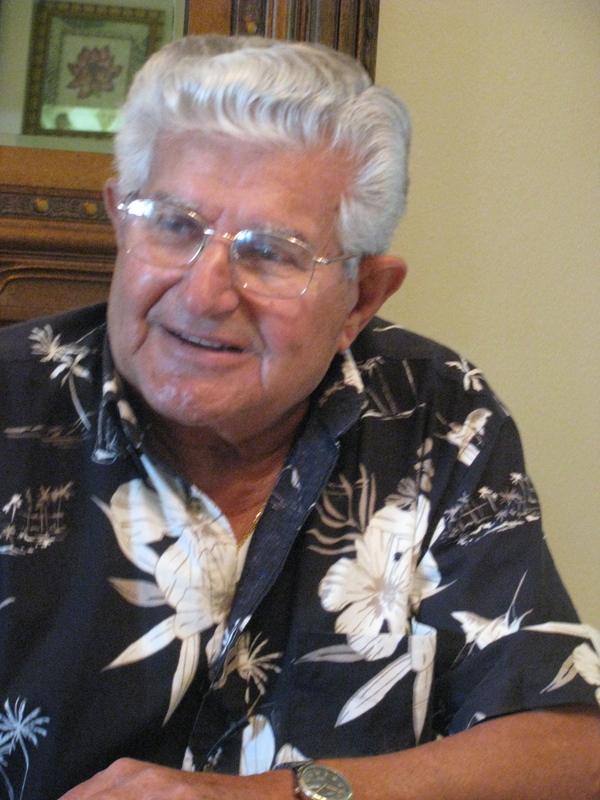 Louis Basso, 92, of Venice, FL, died on Jan 29, 2015 surrounded by his loved ones. Louis is survived by his loving wife of 12 years, Karin; his devoted son and daughter-in-law, Louis Jr. and Diane; his proud grandchildren, Danielle and Gregory; his lucky great-grandchildren, Henry, Luisa, Paul, Andrew and Eleanor; and his many wonderful friends. He is predeceased by his first wife of 54 years, Florence H. Basso, whom he met in the Queen Mary returning home from WWII. Born and raised in Sacile, Italy, Louis was very proud of his Italian heritage and made sure he and his family always stayed connected to his roots. After moving to the Bronx, New York as a teenager and graduating from high school, Louis enlisted in the U.S. Army and served during World War II. He fought in four of the five major battles from D-Day to the Elbe River and received many medals for his service. After the war, he spent a successful career as a design engineer at George G. Sharp Marine Engineering, Co. in New York City. Louis had many hobbies that he was proud of – fishing, drawing, painting, coin and stamp collecting to name a few. But what he was most proud of was his family and the special times they spent together during his long and prosperous life. He was at his happiest being among the people he loved. His contagious energy, refreshing sense of humor, and love for life and family will be remembered always. Services will be held at 9:30 am on Monday, August 3, 2015 at Sarasota National Cemetery, Sarasota, FL. 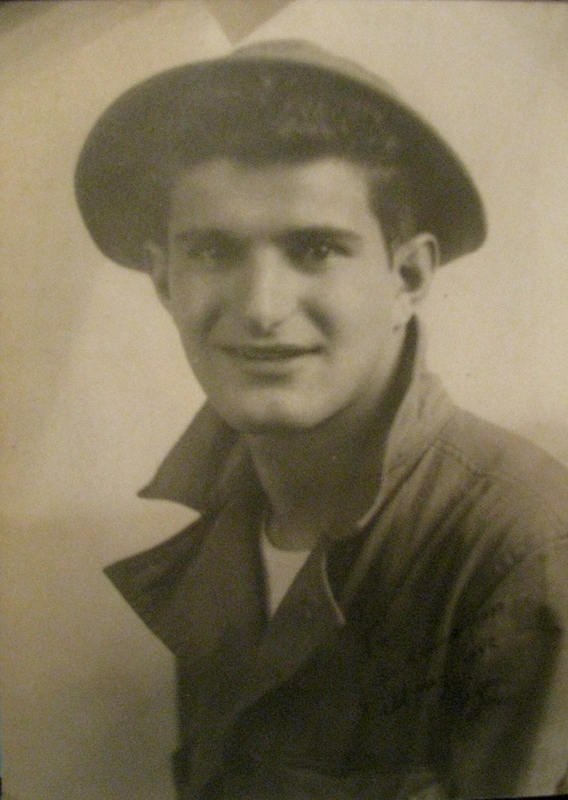 My father – Anthony Perrone Sr. – was a member of the 258 Battalion out of the Bronx and fought in some of the battles you mentioned. He is 92 years old. I have to believe that you must have known each other. He remembers the battle of Hurtgen Forest. He was wounded twice and sent back to England during the campaign with the 3rd Army. He was a driver of the M12 tank. I’ve seen the maps that the 258 Battalion troops were given listing the battles they were in. Do you know him? My Father Salvatore Sclafani was with the 258th also. Hw enlisted in 1936 and retired in 1968. My father, John Tucciarone, was in Battery C of the 258. I have his copies of the maps. My father, was Captain Harry A. Taylor, Jr. of Battery A, 258th FA during WWII from Greensboro, Alabama. I got out his keepsakes and have the same picture of one of the guns, and Basso listed several times in his field book he took notes in the whole time. Also found the official list of his group with Louis Basso listed. I would love to speak with any of the men or their children who may remember him or any information about their war experiences. He died in 1977 at age 60.
phone: (334) 507-1668 or (334) 624-9001. While looking up info on the artillery pieces, I found the article about Louis Basso. I am so sorry that he has now passed away. They truly were the greatest generation. Would love to her from anyone with the 258th!